Binod Rai, 24, at home in Coquitlam, believes the Immigration Services Society of B.C. needs to help government-assisted refugees more after their one-year transition. 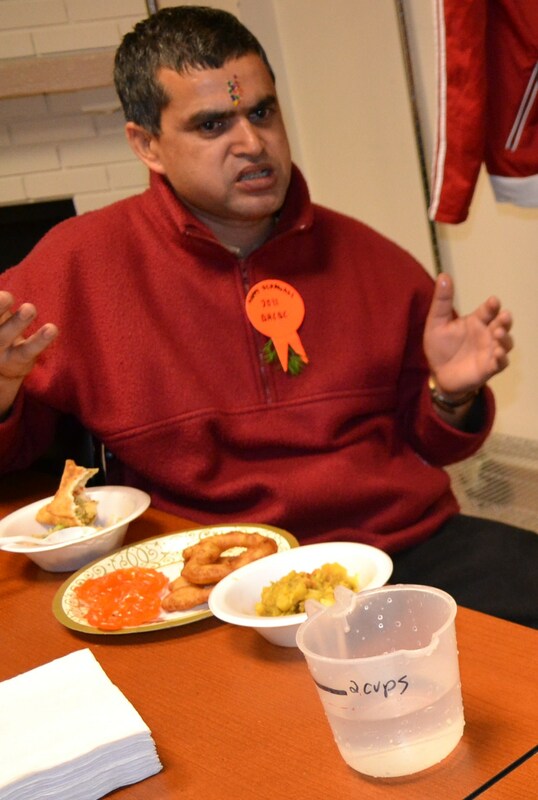 At 24, Binod Rai is like many young Canadians. He has a full-time job, a cell phone, a computer, a strong desire to get a better education and a love for his family, with whom he lives. But a year-and-a-half ago, Rai, his parents and siblings had nothing. Along with thousands of other Bhutanese refugees, they were sheltered in a camp in Nepal for nearly two decades, a place that had no flushing toilets, no heat and no electricity. The camp, run by the Office of the United Nations High Commissioner for Refugees, provide meals and schooling for the children, but little else. In 2008, Rai’s family was approached and asked if they wanted to resettle. They chose Canada (“even though it’s so cold, not like the hot weather we were used to,” he said) because of its healthcare and educational systems and, some 18 months later, they were on a plane with two other large Bhutanese families from the camp flying to Dubai, then to London and, finally, to Vancouver. The families spent two weeks at Welcome House in Vancouver to get oriented before moving to Cottonwood Avenue in Burquitlam, where many refugees — including an ever-growing Bhutanese community — live. The transition hasn’t been easy, Rai said, though he feels he’s one of the luckier refugees. Unlike many of his countrymen, Rai can speak English, thereby making the integration into Canadian culture all the more smoother. His two older sisters also have managed to get full-time work (the eldest, Madhu, 26, wants to eventually work in the healthcare sector) while his two younger brothers attend Mountain View elementary and Port Moody secondary; their parents take English as a Second Language classes and collect food at the food bank on a regular basis. 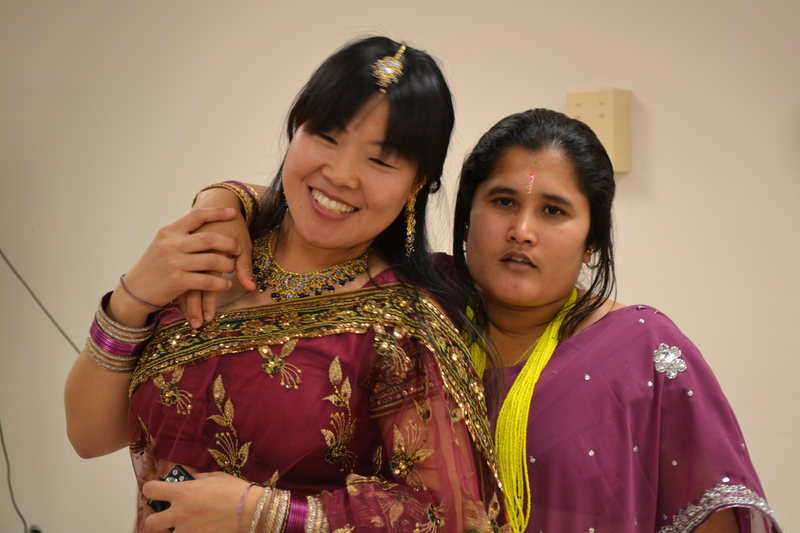 For the Immigrant Services Society of BC (ISS), the Rais are a success story. Last year, according to recently released statistics, ISS helped 711 government-assisted refugees (GARs) resettle in the province, with the Tri-Cities being the top destination. A total of 194 GARs made Coquitlam their home in 2011 — most of them from Bhutan, as part of a humanitarian effort by the federal government to place 5,000 Bhutanese GARs across the country between 2008 and 2013 (the U.S., Australia, Norway, the Netherlands, Denmark and New Zealand also have Bhutanese resettlement programs). Chris Friesen, ISS’ settlement services director, said more Bhutanese refugees are expected to arrive in the Tri-Cities this year. Coquitlam, in particular, was chosen as their settlement community for several reasons, including availability of affordable housing and pre-existing services such as adult ESL classes and settlement workers in schools. The area is also close to Surrey, where the majority of the Nepalese community lives. As well, the Tri-Cities share general geographic similarities with Nepal. According to a report, penned in part by Friesen, released last September, called From One Nation, One People to Operation Swaagatem, the Bhutanese refugee resettlement is a history-making program for B.C. as it is the first time all government and school agencies were on board to prepare for their arrival. Still, Friesen said more programs are available now for GARs than a few years ago “and we’ve specifically targeted the refugee communities that have been settling in the Tri-Cities with the goal of providing a much more co-ordinated wrap-around in the first five years,” he said. Note: Binod is a hard-working and an optimistic young man who deserves opportunities to advance in his new adopted country, Canada. He has a wonderful family. When the days in the refugee camp seemed to last forever, Bhim Lal Kattel prayed to the gods to let his family return home to Bhutan. Nearly two decades passed. His children grew and his mother aged. Mr. Kattel gave up his dream of reclaiming his family’s farm in southern Bhutan. The grinding boredom at the Goldhap refugee camp in the nearby Himalayan country of Nepal sapped his spirit. So, at age 37, with an anxious heart, he decided to take his family to a strange, cold land on the other side of the globe. Mr. Kattel arrived at Vancouver International Airport on Thursday afternoon, his eyes shining with excitement and fatigue. Despite the warm July weather, his wife, Bishnu Maya, and three children, Prakash, 14, Menuka, 12, and Ganesh, 8, were clad in thick sweaters. His 73-year-old mother was pushed through the international gates in a wheelchair. This week, as Ottawa issued strict visa requirements for Czech and Mexican visitors, citing a raft of bogus refugee claimants from the two countries, the Kattels were part of another unfolding Canadian refugee saga. 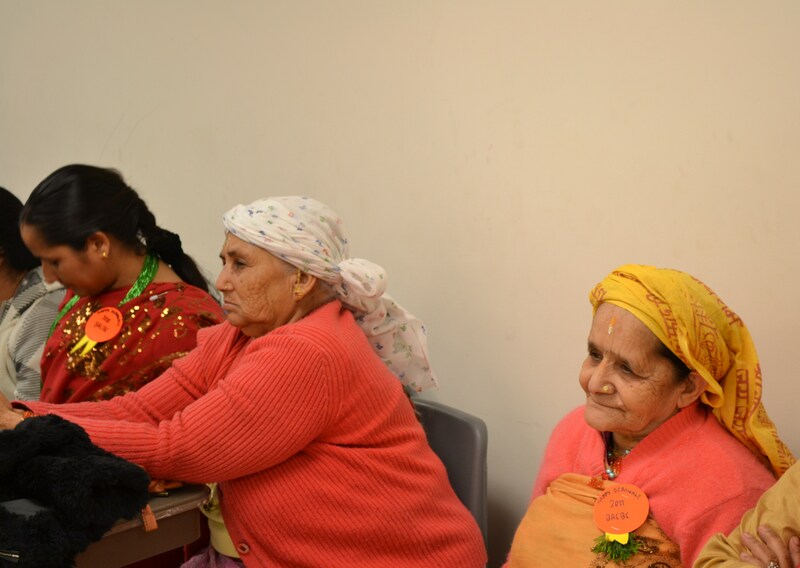 Five thousand Bhutanese refugees will be arriving in Canada over the next five years – one of the largest government-sponsored resettlement efforts in recent years. Earlier, as the plane began its descent over B.C.’s Lower Mainland, Mr. Kattel stared down at the Coast Mountains and thought the landscape reminded him a little of Bhutan’s rugged countryside. “I was thinking, ‘This is going to be my family’s home,’” Mr. Kattel said. Seven Western countries agreed to accept the Bhutanese after years of talks between Bhutan and Nepal ended in stalemate. Most – about 60,000 – will go to the United States. Many of the Kattels’ friends and relatives have plane tickets to places like Dallas, Salt Lake City and Phoenix. Mr. Kattel wishes more of his friends were going to B.C. In Canada, the Bhutanese are to be settled in nearly 30 communities from Newfoundland to B.C. Eventually, about 900 refugees – including the Kattels – will move to Coquitlam, just outside Vancouver. It’s a daunting prospect for the suburban community, and for the country as a whole. Unlike most immigrants and refugees, the government-sponsored Bhutanese will be landing in Canada without the safety net of already-established countrymen to greet them and ease the culture shock. The Nepalese and Bhutanese community in Canada is tiny. Coquitlam Mayor Richard Stewart compared the Bhutanese refugees to Wild West pioneers, landing in a strange country with little English, few job skills and even fewer relatives and friends. Many of the younger refugees were born and raised in a camp. In fact, city officials, community groups and residents in Coquitlam have laid out the welcome mat for the refugees from a little-known land. The local school board and the Immigrant Services Society of B.C. have set up a summer camp for the kids to polish their English and learn basic computer skills. Host families have come forward to help the refugees with basic tasks such as shopping and learning transit routes. Community meetings held in the spring to discuss the refugees’ arrival were overflowing. The Kattels are the third Bhutanese family to arrive in British Columbia. They face a raft of challenges. Most of the adults come from farming backgrounds and have only a high-school education. Some have spent their entire adult lives in a refugee camp and have no work experience. Mr. Kattel worked five years as a security guard in India, where he learned halting but understandable English. But the biggest shock is sure to be cultural. The Bhutanese are moving from a near-primitive rural setting to a fast-paced modern city. Light switches, flush toilets, refrigerators – even chilled food and drinks – are as foreign as cellphones and computers. The Kattels’ plane trip to Vancouver took 19 hours, but the family’s journey began 17 years ago when more than 100,000 Nepali-speaking Bhutanese were driven out of the small Himalayan kingdom. The refugees fled to Nepal and spent nearly two decades in camps in the country’s humid, snake-infested lowlands, miles from the tourist-trammelled mountain trails. When a worker from the Office of the United Nations High Commissioner for Refugees came to the camp, asking who was interested in moving to a new country for permanent resettlement, Mr. Kattel thought of his children’s future and raised his hand. Nearly two years after that encounter, the family boarded a plane in Kathmandu, the capital of Nepal, and began their long journey to Canada. As the plane’s wheels lifted from the tarmac, Mr. Kattel felt thrilled and homesick at the same time. Menuka cried from London to Vancouver, telling her mother she already missed her friends. On Thursday afternoon, as their jet-lagged children slumped onto beds and sofas, Mr. Kattel and his wife listened intently as a Nepali-speaking counsellor showed the couple how to flush a toilet and run a shower. In the kitchen, he pointed to the stove and explained how the electric elements worked. Ms. Kattel, who cooked meals at the camp over a fire stove in the family’s hut, had never operated an oven. Later that evening, the two other Bhutanese refugees paid the family a welcome visit. One, Saha Bahadur Diyali, took Mr. Kattel to a grocery store, where they bought rice, vegetables and fruit. Back at the shelter, Mr. Diyali, who arrived in May, filled Mr. Kattel’s head with advice on life in the Canadian suburbs. “We decided that we aren’t many Bhutanese here, so we’ll have to stick together,” Mr. Kattel said. Note: the pictures are my(raj) additions. The Kattels’ journey to Canada began in 1992, when they were driven from their farms in southern Bhutan. During an interview with The Globe and Mail conducted in Nepal a few weeks before they left for Canada, the Kattels talked about their life and their hopes for the future. The Kattels are Lhotshampa, descendants of Nepalese who moved to southern Bhutan in the 19th century, mostly to farm. Bhutan, which is one of the most isolated countries on earth, is known abroad for its unusual national mantra, which promotes a so-called Gross National Happiness. According to refugees, this state-directed goodwill was never extended to its Nepali-speaking minority. By the 1980s, Bhutan’s king and government were concerned about the high birth rates among the largely Hindu, Nepali-speaking residents. Fearing a shift in political power, the government stripped many Nepali-speaking Bhutanese of citizenship, enforced a strict dress code, and outlawed the use of Nepali in classrooms. Violent protests broke out in 1990, and activists were tortured and arrested. If Nepali-speaking residents couldn’t prove they lived in Bhutan before 1958, they were expelled. In the dead of night, Mr. Kattel, his mother and two sisters made their way to India and eventually into Nepal’s southeastern Terai region. The following year, he wed Bishnu Maya in an arranged marriage. The Kattels lived in a small, four-room bamboo hut with no privacy. The only real furniture was five beds Mr. Kattel built himself. Menuka, 12, shared a bed with her grandmother and was looking forward to a room of her own. Of all the family members, Ms. Kattel appeared the least thrilled about the move, longing instead to return to Bhutan. But she too was fed up with the dreariness of camp life. Yesterday, the Kattels savoured their first full day in Canada. Touring downtown Vancouver, they gaped at roller-bladers and the sea planes landing in Burrard Inlet. Then it was back to the bureaucratic business of becoming Canadian. A counsellor spent the rest of the morning helping the Kattels apply for health and social insurance cards. Mr. Kattel was especially thrilled to apply for a permanent-residence card. At the Nepalese camp, he was issued a refugee card, a label he loathed. By noon yesterday, Mr. Kattel admitted that his head was swimming with information. His grin, though, was as broad as ever. “It’s very good here,” he said in English. In the beginning of the 1990s, a sixth of the Bhutanese population fled their country due to cultural repression. Eighteen years later, Bhutan is known as a peaceful Buddhist Himalayan Kingdom – the promoter of Gross National Happiness. Meanwhile, the exiled Bhutanese are struggling for survival in overcrowded refugee camps in Eastern Nepal. Growing increasingly restless the young see only one solution for peace – war. Seamlessly weaving the deceptive tropical beauty of the camps with gritty streetscapes from New York, KILLING TIME follows the exiled Bhutanese in the camps and a handful few who have made it to New York to lobby their cause. It shows a forgotten people’s struggle to survive in a world where you don’t only spend your life killing time waiting for a solution, but where time eventually kills you. I love this documentary but it is hard to find one; it is neither in my local libraries nor I could find it on-line for a purchase.